The University of Pennsylvania and National Library of Laos have launched the Digital Library of Northern Thai Manuscripts as a resource for the study of traditional literature from this region. At present, the digital library contains images of over 4,200 manuscripts which can be searched and viewed online or freely downloaded, and to which more manuscripts will be added subsequently. The database contains four collections: digitised microfilms from the Preservation of Northern Thai Manuscripts Project (with permission of Chiang Mai University Library), digitised microfilms and also handwritten copies of manuscripts made in the early 1970s during research conducted by Harald Hundius, and directly-digitised manuscripts made during the current digital library project. A gallery with images from temples which were involved in the project, as well as a collection of written and online resources for further study complement the database. All digitisation was funded by the German Federal Foreign Office, and the digital library project was funded by The Henry Luce Foundation, the Andrew W. Mellon Foundation, the University of Pennsylvania Libraries and the School of Arts and Sciences at the University of Pennsylvania. The project was implemented by the National Library of Laos, based on the existing Digital Library of Lao Manuscripts. 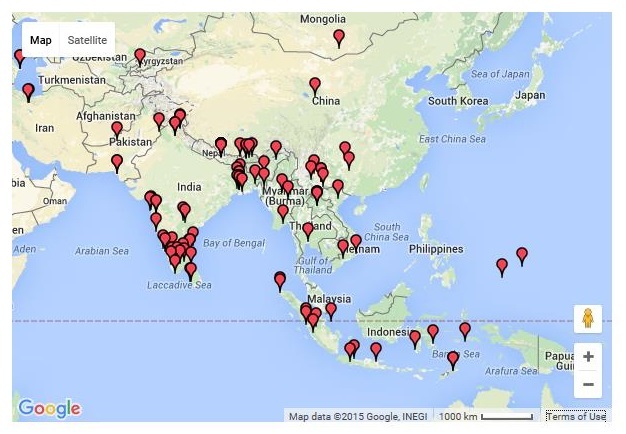 We hope that the digital library will be a useful resource for the study of traditional literature from this region. Feedback on the site is welcome. © 2015 David Wharton, Digital Library of Northern Thai Manuscripts (CC BY-NC 4.0). The Endangered Archives Programme has been running at the British Library since 2004 through funding by Arcadia, with the aim of preserving rare vulnerable archival material around the world. This aim is achieved through the award of grants to relocate the material to a safe local archival home where possible, to digitise the material, and to deposit copies with local archival partners and with the British Library. These digital collections are then available for researchers to access freely through the British Library website or by visiting the local archives. The digital collections from 144 projects are currently available online, nearly 5 million images. The Endangered Archives Programme is now accepting grant applications for the next annual funding round – the deadline for submission of preliminary applications is 6 November 2015 and full details of the application procedures and documentation are available on the EAP website. The Programme has helped to preserve manuscripts, rare printed books, newspapers and periodicals, audio and audio-visual materials, photographs and even rock inscriptions. Since 2004 approximately 270 projects have been funded, ranging from rare books in Armenia to Cham manuscripts in Vietnam. To find out more about the Programme and previous digitisation projects, visit their Endangered Archives Blog. British Pathé was once a dominant feature of the British cinema experience. Before the advent of television, millions around the globe came to movie theatres for their weekly dose of filmed news. The birth of this phenomenon took place when renowned French filmmaker Charles Pathé came to London in 1910 to introduce an innovative medium to British audiences – the cinema newsreel. Over the course of a century, British Pathé reported on everything from armed conflicts and seismic political crises to the curious hobbies and eccentric lives of ordinary British people. In so doing, the organisation set the benchmark for cinematic journalism, blending information and entertainment with unparalleled success and influencing whole generations of Britons. British Pathé is considered to be the most comprehensive newsreel archive in the world and is a treasure trove of 85,000 films unrivalled in their historical and cultural significance. Spanning the years from 1896 to 1976, the collection includes footage from around the globe of major events, famous people, fashion trends, travel, science and culture. Over the last 40 years, this material has been used extensively by broadcasters, production companies, corporations, publishers, teachers and museums, among many others. Now most of the material is available publicly via the British Pathé website for viewing and educational purposes. Almost 300 film clips can be found for Indochina, for example. Although most of the footage is related to the war in Indochina, there are also clips documenting the lives of ordinary people, the cultural traditions of various ethnic groups and outstanding Southeast Asian landscapes. A keyword search for “Burma” reveals over 200 film clips. One particularly interesting short film documents the Water Festival as is was celebrated in Yangon in 1946. Another very rare film shows footage of East African soldiers who fought in Burma in the 1940s. Just over one hundred clips are related to Thailand/Siam, mainly covering state visits, political events and some cultural topics. A very short film gives insight into the life of young Prince Ananda at his school in Lausanne. Fun to watch is a documentation of Prince Birabongse winning the Ulster T.T. race in Northern Ireland. Hundreds more films deal with events in Singapore, Malaysia, Indonesia, the Philippines, and Brunei, including the coronation of the Sultan of Johor in 1960. The ever growing Southeast Asia Digital Library (SEADL), hosted by the Northern Illinois University, has made available access to ten videos recording various aspects of the Mandalay Marionettes Theater. In Burma, marionette puppetry has played an important role in the history and development of dramatic art and culture over the last 500 years. 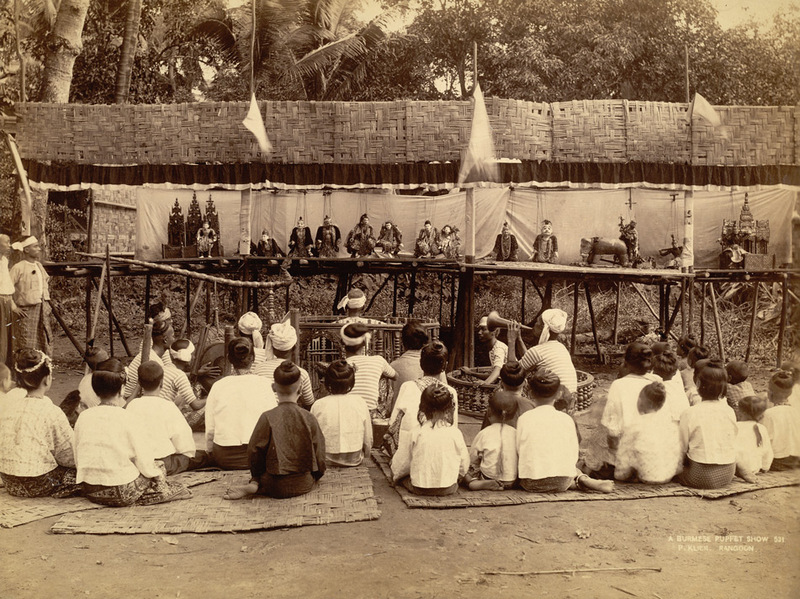 Burmese puppetry served as a means of making people aware of current events; as a medium for educating people in literature, history, and religion; as a display of lifestyles and customs; and as mouthpieces for the people in the days of the monarchy. The practice of traditional marionette puppetry in Burma has waned over the decades, and is on the verge of becoming a lost art form. In 1986, Mrs. Ma Ma Naing and Mrs. Naing Yee Mar formed the Mandalay Marionettes Theater as a step in saving this rich legacy. This troupe has been working to preserve Burmese puppetry and original Burmese traditions such as Burmese dancing and music, sculpture, sequin embroidery and painting. The Mandalay Marionettes Theater troupe has contributed an assortment of performance videos to the SEADL. Included in these is an introduction and overview to the Burmese marionette tradition; a ritual dance that is done to respect the Nats, or the guardian spirits of the area; the Himalayas dance, featuring the horse, monkey and demons; and a dance of an alchemist or the Zaw-Gyi dance. Daw Ma Ma Naing, one of the founders of the Mandalay Marionettes Theater, also gives a brief history about marionettes. Other videos highlight the skills of the puppeteers themselves, while demonstrating the dance of the two royal pages; a humorous dance performed by two villagers named U Shwe Yoe and Daw Moe; a dance between a human being and a puppet; a romantic and sentimental dance called “Myaing Da;”and a performance from the Ramayana epic where Rama chases a golden deer for his princess, Sita. To go directly to the video collection at SEADL, click HERE. For further information about the Mandalay Marionettes Theater, please visit http://www.mandalaymarionettes.com/. A groundbreaking project with the aim to digitally replicate the lost Phralak-Phralam (Lao version of the Ramayana) murals at Vat Oub Mong in Vientiane has been under way for several years. 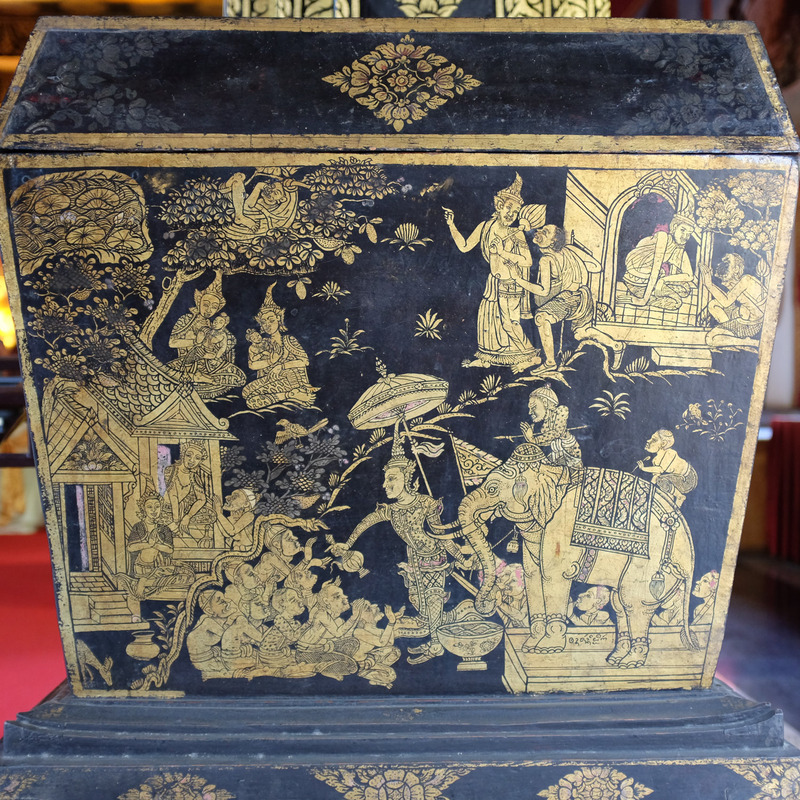 The project is being carried out by the Digital Conservation Facility, Laos (DCFL); affiliated since 2003 with the Center for Southeast Asian Studies (CSEAS) at Northern Illinois University. DCFL founder Alan Potkin has recently been developing interactive visualization and virtual reality technologies in ecological and cultural conservation for applications in impact assessment, heritage management, museological and site interpretive materials, public participation; and accessible institutional memory for corporations, government agencies, and NGOs. The historical temple hall at Vat Oub Mong that contained the original murals had been demolished in the year 2000. However, prior to the demolition, photographs were taken of the murals which had been created in 1938. Thanks to this initiative and newly emerging technologies, digital replication of the lost cultural heritage is now possible. But digital replication is not the only goal of the project – equally important is the replication at Vat Oub Mong (Vientiane) of the demolished Phralak-Phralam murals which was completed in 2011. In addition to this, the original 2,100-page palm leaf manuscript containing the Pralak-Pralam text in Lao tham script has been digitised and is currently being transliterated into modern Lao by the monks at Vat Oub Mong. Alan Potkin gave talks about this project and its progress at several conferences in the recent years. An abridged translation of the Phalak-Phralam text together with some photographs of the original murals from the demolished temple can be found on the homepage of the Center for SEA Studies at Northern Illinois University. Latest news from the project can be found on the Theravada Buddhist Civilizations website. An English translation of a Phralak-Phralam text found in a manuscript at the Royal Palace in Luang Prabang, together with photographs of the murals at Vat Oub Mong are in Sachchidanand Sahai’s book “Ramayana in Laos. A study in the Gvay Dvorahbi” (published in 1976 by B.R. Publishing corporation, Delhi). The Digital Humanities 2014 conference is jointly hosted by the University of Lausanne (UNIL) and Ecole Polytechnique Fédérale de Lausanne (EPFL). The theme of DH 2014 will be “Digital Cultural Empowerment”. There will be pre-conference workshops on 7-8 July 2014 and an excursion on 12 July 2014. For more details visit the Digital Humanities homepage.